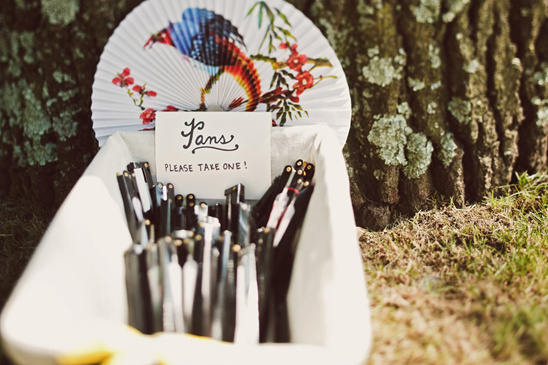 We love a handmade wedding! 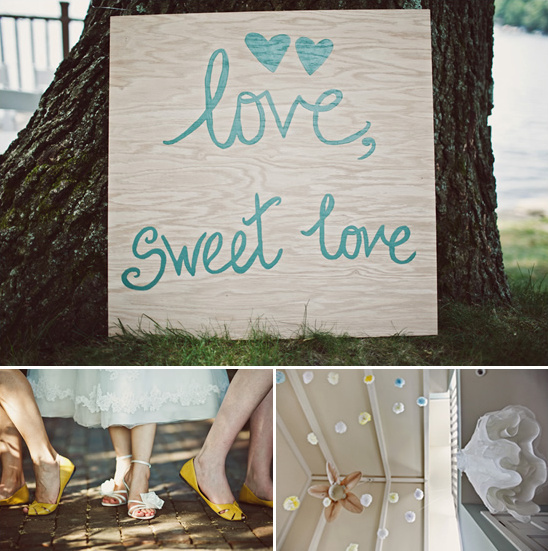 Thanks to Chicago wedding photographer, Redwall Photo we have and incredible DIY wedding with a cozy lakefront cottage. Thao, the bride, basically made everything and below she goes into extreme detail on her DIY affair. One of our favorite elements are there cloth booklets, a nod to Thao former job in book design. 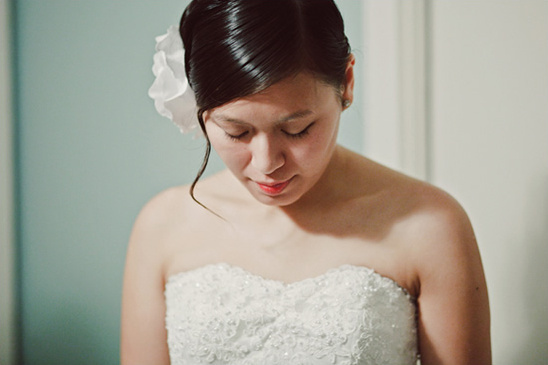 Enjoy the rest of Thao and Dan's Ohio wedding. There are so many incredibly handmade details that you have to see. Check them out by clicking here. From Thao on her DIY planning adventures. 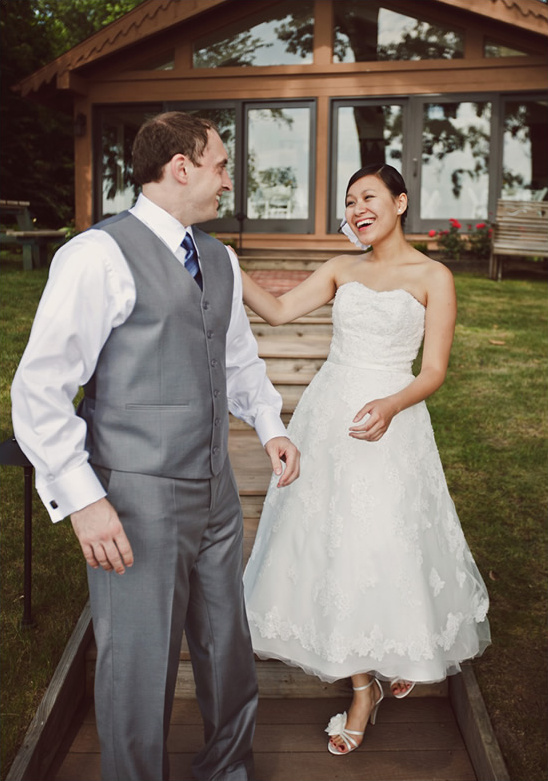 We knew we wanted two things with our wedding: we wanted to have it in the summer, and we wanted to have it at Dan's family lakeside cottage. It belonged to his Grandpa Jack and Grandma Bobbie, and has meant so much to the whole family over the years. On our first date, Dan told me that the cottage was his favorite place in the world, and that he hoped he'd have a chance to take me there someday. Three years later, we got married there! The cottage is relatively small, so it dictated the size of our wedding. 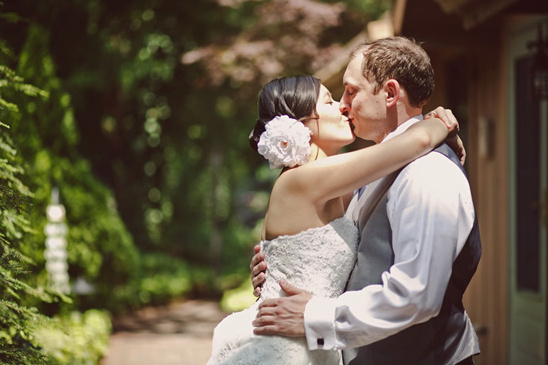 Neither of us ever imagined our wedding with a lot of fanfare, just intimate, homespun warmth. We kept the guest list to our immediate family and our best friends. The smaller guest list limited our vendors as well, since we didn't want to have a lot of strangers milling around during our 36-person wedding. 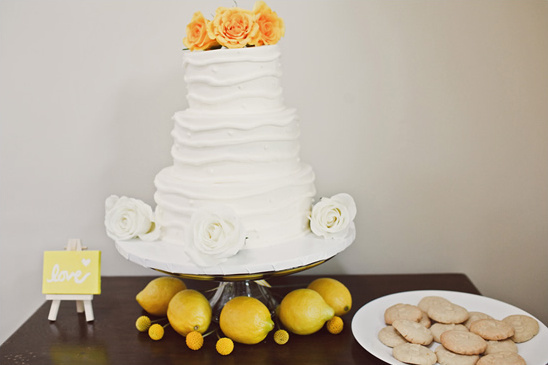 It became something of a DIY affair, but we had so much fun working on the details together. I was most excited about designing my paper products. Our invitations were cloth booklets (a nod to my former job in book design), with ribbon spines that opened into a pocketfold with all of the invitation suite elements. I learned how to letterpress, and letterpressed our programs, sewing them into booklets with ribbon. We designed and printed our own save-the-dates and thank you notes too. 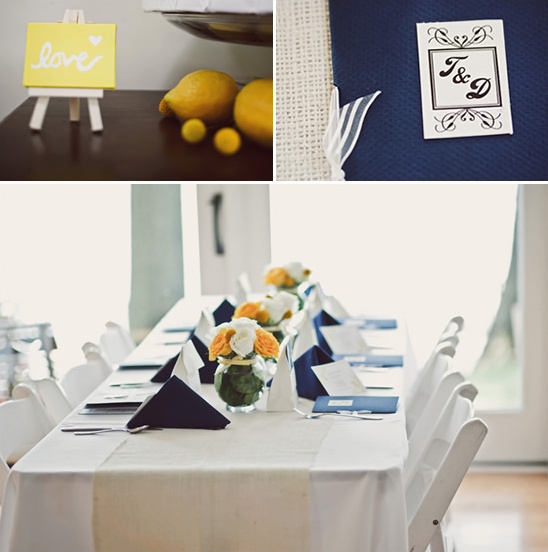 Every paper element was slightly different, but fit into the feel of our cottage wedding. Our colors were navy, yellow, and grey, which seemed both summery and nautical to me, but we didn't stick too tightly to that color scheme. The week before the wedding, my bridesmaids and Dan's groomsman came in to help, and we did all of the decorating ourselves. We made bunting to hang up, welcome signs, table runners, and tissue paper pomanders. We baked lemon shortbread cookies imprinted with our initials to distribute as favors. We also did all of the flowers ourselves, with a lot of help from my bridesmaid's boyfriend, who happened to have worked in a florist shop. Our parents came to help with the clean-up and tear-down of the cottage. Everyone lent a hand to bring our wedding together, and I couldn't be more thrilled with how it turned out. A shuttle brought guests from the hotel to the cottage, where they were welcomed with an open bar and fans for the summer heat. The ceremony took place on the deck overlooking the lake. My grandfather walked me down the aisle, which meant the world to me. When he was asked who supports the bride in her marriage, he said, "We all do". After the ceremony, the wedding party hopped onto a boat, where we enjoyed drinks and cocktails. The food was amazing--our guests still talk about it. Then we came back to enjoy the reception. From the toasts, to the first dance, to the afterparty, every element was perfectly suited for us as a couple. We got quality time with every single person at our wedding, which made us feel so blessed. I wouldn't have changed anything about our wedding. Chicago Wedding Photographer Redwall Photography is proud sponsor and preferred vendor of The Wedding Chicks.